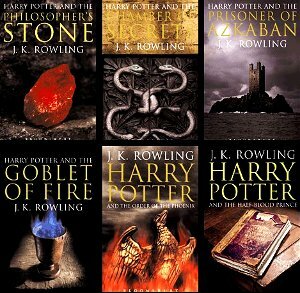 Harry Potter and the Deathly Hallows published in 2007. The books have been the subject of a number of legal proceedings mainly from Christian groups which are claiming that the magic in the books promotes witchcraft among children although whole series of books promotes parents love and good, moral behavior. Harry Potter became classic over time, fairy tale for future generations. And most important, this book series makes reading fun! anonymous: "In J.K.Rowling K stands for nothing and was added in hope that males will read this too... results are best money earner in book world of all times..."
anonymous: "She is writting new book for adults these days." anonymous: "Harry Potter, nothing without friends."